Discover your next go-to favorite with samples from Charlotte Tilbury, Laura Mercier, NARS and more at Nordstrom Spring Beauty Event 2019. Plus, Nordstrom is offering up — 19pc Space NK gift bag and 7pc Lancome spring GWP and 50% off Laura Mercier makeup + GWP. 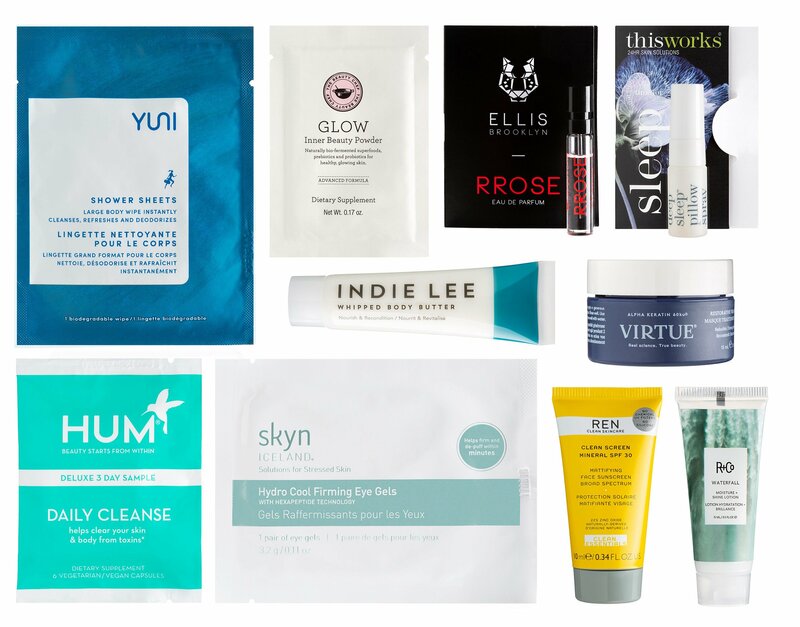 Also, there are new beauty bag from beautyhabit, Ulta 21 Days of Beauty day 2, Bloomingdale’s x Space NK offer and HSN spring beauty event 2019. No promo code required and there are two major gift with purchase offers from Space NK and Lancome! With your $165 Space NK purchase receive a cosmetics bag and 18 deluxe samples. A $274 value. wo seven-piece gifts to choose from. Promo code required. Online and in U.S. stores. Use promo code PINK in Checkout. (NEW) Receive a cosmetics case and deluxe samples of Foundation Primer (0.5 oz. ), Caviar Stick Eye Color in Rosegold (0.03 oz. ), Lip Glacé in Baby Doll (0.1 oz.) and Translucent Loose Setting Powder in Translucent (0.12 oz.) with your $85 Laura Mercier purchase. (NEW) See Nordstrom Beauty Sale Page here including 50% off Laura Mercier. Receive a cosmetics bag and deluxe samples of Addict Lip Maximizer in 001 Pink/Glow (0.06 oz. ), Diorshow Maximizer 3D Triple Volume Plumping Lash Primer (0.05 oz.) and Prestige La Crème (0.17 oz.) with your $150 Dior makeup or skin care purchase. (NEW) Receive a cosmetics bag and deluxe samples of Re-Nutriv Ultimate Lift Regenerating Eye Creme (0.24 oz. ), Re-Nutriv Ultimate Lift Regenerating Youth Creme (0.24 oz. ), Re-Nutriv Hydrating Creme Cleanser (1 oz.) and Re-Nutriv Softening Lotion (1 oz.) with your $125 Estee Lauder purchase. TIP: Nordstrom Live Chat— 30% off Macy’s VIP Sale + 15% off Beauty with code VIP , ends 3/26. BeautyHabit (NEW) Spring Beauty Bag + 24 pc Gift! With your $150 or more SITEWIDE purchase receive a signature Beautyhabit Spring Tote (15” w X 16.25” h) PLUS a 24 pc gift that includes deluxe minis and treats. (Sampler substitutions may apply). A $175+ value! Apply code: BHSPRINGBAG. Free shipping any $100 order. One promo code per order. Bloomingdales (NEW)(HOT) Take $20 Off Every $100 You Spend in Space.NK.Apothecary! Brands may include, but is not limited to, Clinique, La Prairie, Bobbi Brown, Jo Malone, Tom Ford and many more. (NEW) Choose one sample for every $25 you spend in our Glowhaus boutique. That’s 4 samples with a $100 purchase! – GLAMGLOW INSTAMUD™ 60-Second Pore-Refining Mask, 0.67 oz. – Mario Badescu Facial Spray with Aloe, Herbs & Rosewater, 1 oz. – Becca Cosmetics First Light Priming Filter, 0.20 oz. Ulta (NEW) Ulta 21 Days of Beauty Event 2019 day 2: ulta.com/21days/. (1d) Receive $3.50 off $15 purchase use coupon 718128 (exclude prestige brands) any qualifying purchase – printable version coupon here, ends 4/6. HSN (NEW) Through March 24, get 50% off daily steals at HSN Spring Beauty Event 2019. Today steals are beautyblender 4pc sets and Strivectin primer. TRY: Coupon 10NEW or NEW2019 can be used on only one item and can only be used once by its recipient and is valid for new HSN customers only. This coupon is valid for $10 off your purchase of $20 or more from HSN.COM.